Ready to build Blaze and the Monster Machines? Look at the shapes on each page and help your child identify each one. 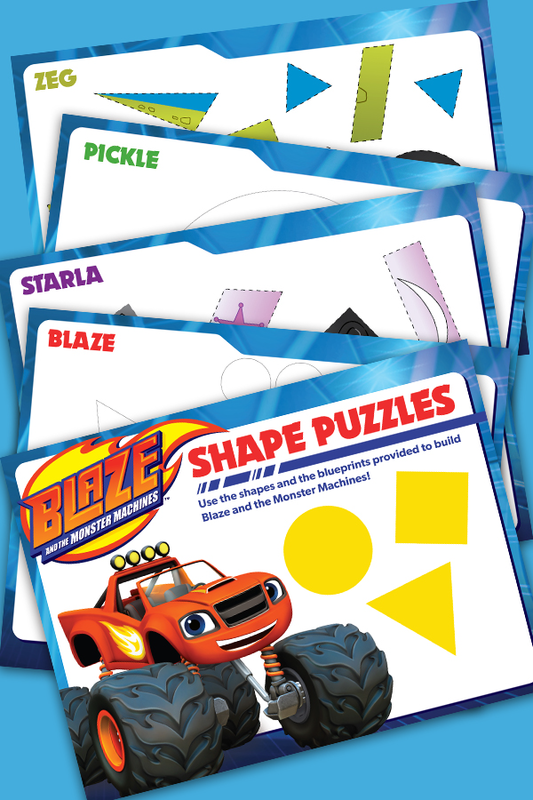 Match the shapes with their correct outlines and then glue them into place to make Blaze, Starla, Zeg, and Pickle. Let’s Blaze!